Summary: It isn′t easy being a pioneer in the state of Washington in 1899, but it′s particularly hard when you are the only girl ever born in the new settlement. With seven older brothers and a love of adventure, May Amelia Jackson just can′t seem to abide her family′s insistence that she behave like a Proper Young Lady. She′s sure she could do better if only there were at least one other girl living along the banks of the Nasel River. And now that Mama′s going to have a baby, maybe there′s hope. This month, we read OUR ONLY MAY AMELIA by Jennifer L. Holm. Unfortunately, Booking Daughter and I couldn't attend the meeting because we had other commitments. I was extremely disappointed because I absolutely loved this book -- my review will be posted shortly! OUR ONLY MAY AMELIA is exactly the type of book I had in mind when we started our book group. I'm sure everyone had a great discussion! Next month we will be having a pool party! We will also be reading THE LAST OF THE REALLY GREAT WHANGDOODLES by Julie Andrews Edwards. I absolutely adore Julie Andrews, but I admit that I'm not at all familiar with this book. What's ironic is that it was around when I was a kid! THE LAST OF THE REALLY GREAT WHANGDOODLES sounds like a cute story and one that the girls will enjoy. Publishers Weekly said, "“Readers will be irresistibly reminded of Oz. It’s a book many children are going to love." Are any of you familiar with it? What do you think? Summary: The Whangdoodle was once the wisest, the kindest, and the most extraordinary creature in the world. Then he disappeared and created a wonderful land for himself and all the other remarkable animals -- the ten-legged Sidewinders, the little furry Flukes, the friendly Whiffle Bird, and the treacherous, "oily" Prock. It was an almost perfect place where the last of the really great Whangdoodles could rule his kingdom with "peace, love and a sense of fun" -- apart from and forgotten by people. But not completely forgotten. Professor Savant believed in the Whangdoodle. And when he told the three Potter children of his search for the spectacular creature, Lindy, Tom, and Ben were eager to reach Whangdoodleland. With the Professor's help, they discovered the secret way. But waiting for them was the scheming Prock, who would use almost any means to keep them away from his beloved king. Only by skill and determination were the four travelers able to discover the last of the really great Whangdoodles and grant him his heart's desire. 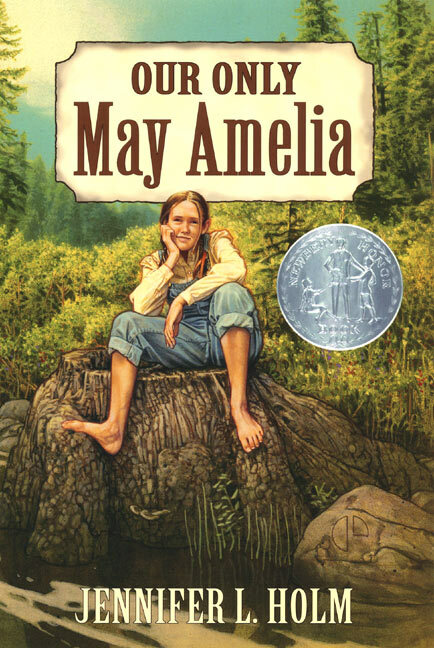 I hope to suggest May Amelia for our mother/daughter book club when we resume in September. I remember Whangdoodles being read to my 3rd or 4th grade class, but not much else. It's sitting on my daughter's shelf, maybe I should dust if off!! I can't wait to hear your review of May Amelia. Can you imagine being the only girl?!!! I remember when Candace reviewed May Amelia, and I really wanted to get it on audio. Unfortunately I could only find it on cassette (sadly no electronic plays cassettes anywhere in our lives anymore). Maybe a read-out-loud at home. Can't wait to hear about it! I don't know this book either, so I'll be watching for your review. I knew you would love this book. My niece encouraged me to read it and I'm so glad I did. Can't wait to read your review. Our mother-daughter book club read Whangdoodles a few years back. It is reminiscent of the Oz books and Charlie and the Chocolate Factory in the kind of fantasy portrayed, but it's definitely its own story. It should be a fun book for you to read. Happy 75th Anniversary Penguin & Giveaway! The 2010 Lititz Kid Lit Challenge - I'm In! Happy Anniversary to To Kill A Mockingbird!